Cebu-bred fashion designer Vania Romoff, one of Smart Infinity's Brand Ambassadors for 2018, is the youngest Metrowear Icon yet. They say the apple doesn’t fall far from the tree and such appears to be true for Vania Romoff, who hails from a family in fashion. Growing up influenced by her grandmother—Cebu’s very first couturier—the thirty-year old designer was born with an inherent knack for style and eye for design. At just 22, she pulled a bold move of moving to Manila to establish a name for herself. But without any connections, clients or even a seamstress, Romoff struggled to make ends meet. While she was able to invest her initial capital in putting up an atelier, she eventually closed up shop due to slow business. Discouraged by the setbacks she faced, the famed fashion designer considered giving up the industry all together but something in her convinced her to power through and that decision has made a world of difference in the life she now leads. These days, Vania wears many hats, balancing her role as a wife, mother and fashion designer. While she’s made many changes in her work life to be able to devote her time to her daughter, there’s no room for this powerhouse to slowdown. Even with her short run in the industry, Romoff already has many accolades to her name—indeed making her worthy of being recognized as a household name in the local fashion scene. 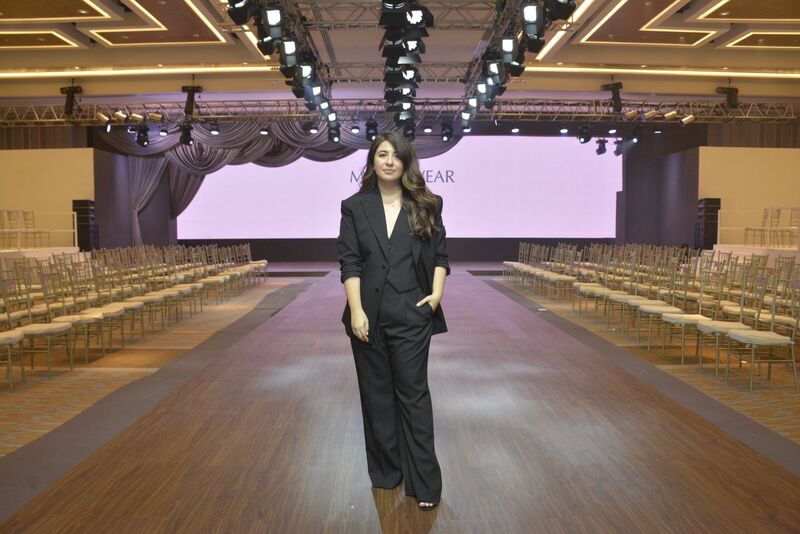 As the chosen Metrowear Icon for 2018, she held her first-ever solo fashion show at Metrowear 2018. With her collection boasting of 60 thoughtfully designed frocks and gowns that perfectly captured her whimsical signature style of fluidity, femininity and drama, Romoff received a standing ovation from the crowd in attendance. Romoff’s dedication to carve out her own path and step out of her family’s shadow make her the definitive self-made woman. Vania Romoff is one of Smart Infinity’s Brand Ambassador’s for 2018. Her elegance, style and unrelenting dedication to her craft make her a lifestyle icon in her own right. Among other Smart Infinity Brand Ambassadors for this year include renowned wedding videographer Jason Magbanua, retail specialist and entrepreneur Mikaela Lagdameo-Martinez, and lifestyle blogger and culinary magnate Grace Barbers-Baja.